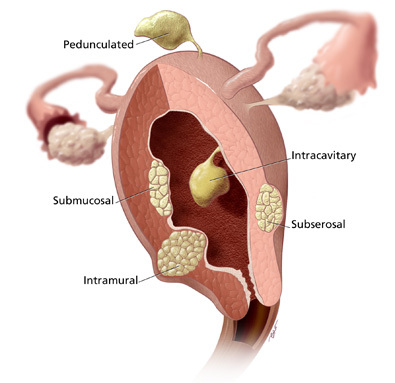 Uterus shown with five types of fibroid tumors. The tumors are named for their location relative to the uterine wall. When medication, lifestyle changes and other non- invasive treatments do not ease your symptoms, your doctor may recommend surgery. 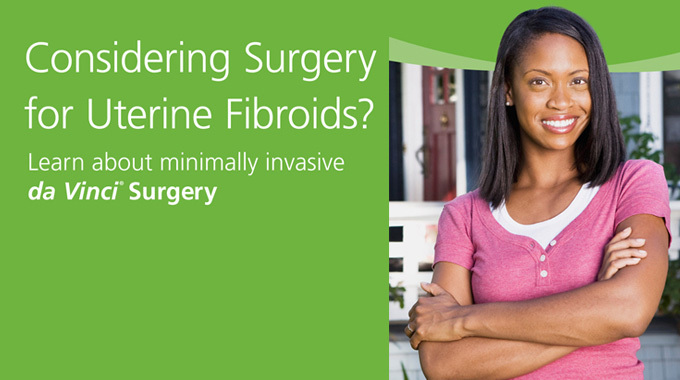 Myomectomy is an alternative to hysterectomy for treating fibroids. During myomectomy, your surgeon removes the fibroid tumor(s) while leaving your uterus in place. Myomectomy is recommended for women who want to become pregnant or keep their uterus for other reasons. Myomectomy can be performed using traditional open surgery, meaning a large incision is made in the lower abdomen. The incision must be large enough for your surgeon to fit his or her hands and surgical instruments inside your body and reach your uterus. Open surgery allows your surgeon to see and touch your organs. 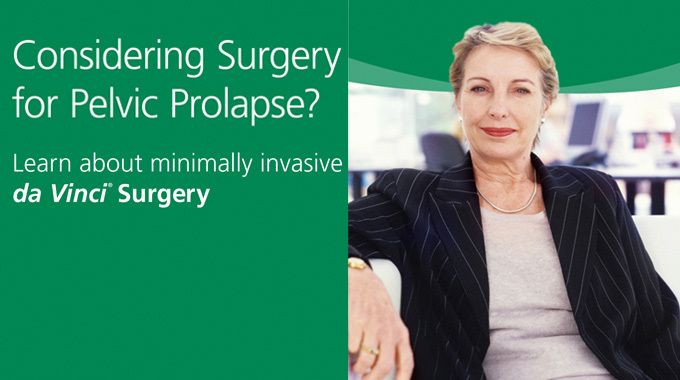 Laparoscopic surgery is a minimally invasive alternative to open surgery. 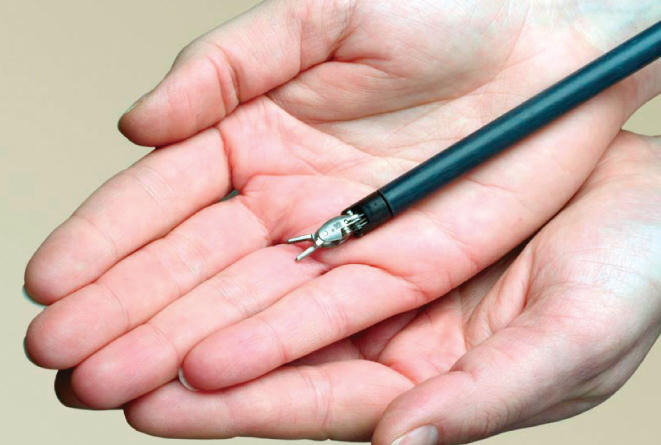 With laparoscopy, doctors operate through a few small incisions with long-handled instruments and a tiny camera. The camera sends images to a monitor which guides doctors as they operate. 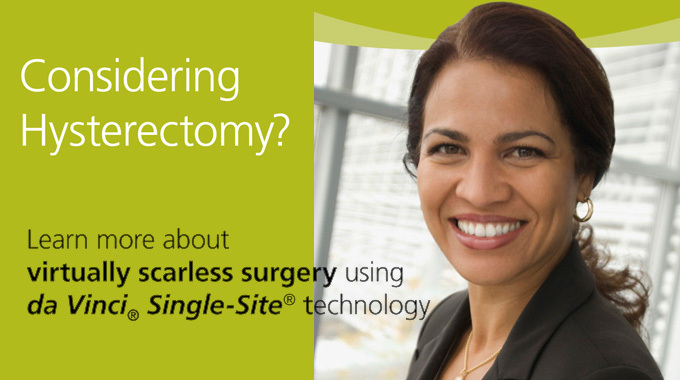 Another minimally invasive surgical option for women considering myomectomy is da Vinci Surgery. 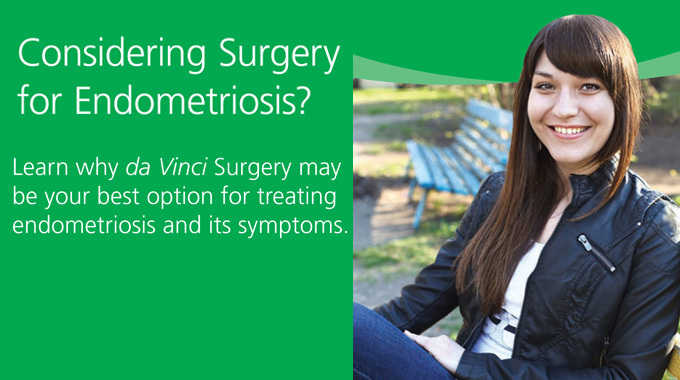 If your doctor recommends surgery, ask about da VinciMyomectomy. With da Vinci, surgeons operate through a few small incisions – similar to traditional laparoscopy. The da Vinci System features a magnified 3D HD vision system and wristed instruments that rotate far greater than the human wrist. These features enable surgeons to operate with enhanced vision, precision, dexterity and control. The da Vinci Surgical System is designed to provide surgeons with enhanced capabilities, including high- definition 3D vision and a magnified view. Your doctor controls the da Vinci System, which translates his or her hand movements into smaller, more precise movements of tiny instruments inside your body. Though it is often called a “robot,” da Vinci cannot act on its own. Surgery is performed entirely by your doctor. Together, da Vinci technology allows your doctor to perform routine and complex procedures through just a few small openings, similar to traditional laparoscopy. The da Vinci System has been used successfully worldwide in approximately 1.5 million various surgical procedures to date. da Vinci – changing the experience of surgery for people around the world.